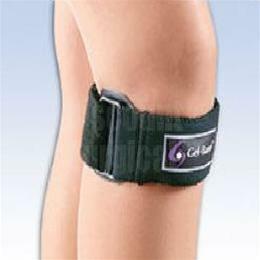 Gelband Knee Strap :: Orthopedics :: FLA Orthopedics Inc. This product keeps the knee from any stress being put on the patella. Or flip it around and you can also use it to help the quadriceps.